Gregory Sahagian & Sons, Inc. has been serving the Tri-State area for over twenty-five years, and operates on the motto, “No one can do it alone.” When they were hired by Willow Ridge Country Club, Sahagian & Sons knew Herculite would be the perfect partner for the job. Willow Ridge Country Club hired Sahagian & Sons to build an outdoor, year-round dining area next to the banquet room of the clubhouse. They hoped the finished product would provide members with a way to enjoy the beautiful outdoor vistas as they dined, as well as match the overall aesthetic of the country club itself. Greg Sahagian was given a plethora of options from which to choose. Herculite Natura®, in Burlywood and Antique White colors, was selected and over 400 yards of Herculite Natura fabric were custom-made for the large patio awning. 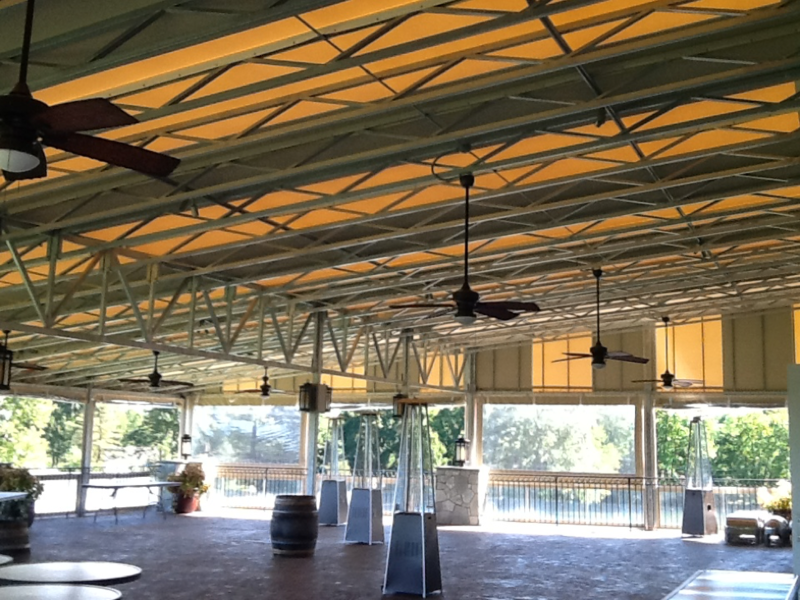 The Herculite Natura® Awning fabric was a perfect fit for Willow Ridge Country Club due to its sleek design and UV protection capabilities. Herculite® Natura™ Awning Fabric is a revolutionary, dimensionally stable, PVC composite fabric featuring the look and feel of a woven fabric on both sides. Herculite® Natura® is Fire Resistant (CSFM Title 19, NFPA 701, ASTM E84 Class A, M2). It is completely waterproof and both di-electrically and weg-weld sealable without the use of seam tape. This high performance textile has an 8-year warranty and is perfect for commercial and residential awnings designed to protect from UV rays while providing a natural fabric design element. Sahagian & Sons and Herculite worked together to give Willow Ridge Country Club exactly what they wanted. The earth tones of the Herculite Natura® fabric not only matched the color scheme of the country club itself, but also blended well with the patio furniture, keeping the focus on the beautiful landscaping of the country club. 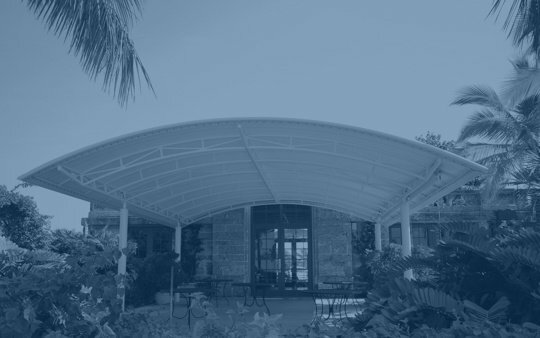 "Our new canopy expands our guest dining accommodations to include an additional 250 guests. Our guests can enjoy the picturesque surroundings of nature while protected from sun and weather. Year round comfort is planned with side curtains and heaters."